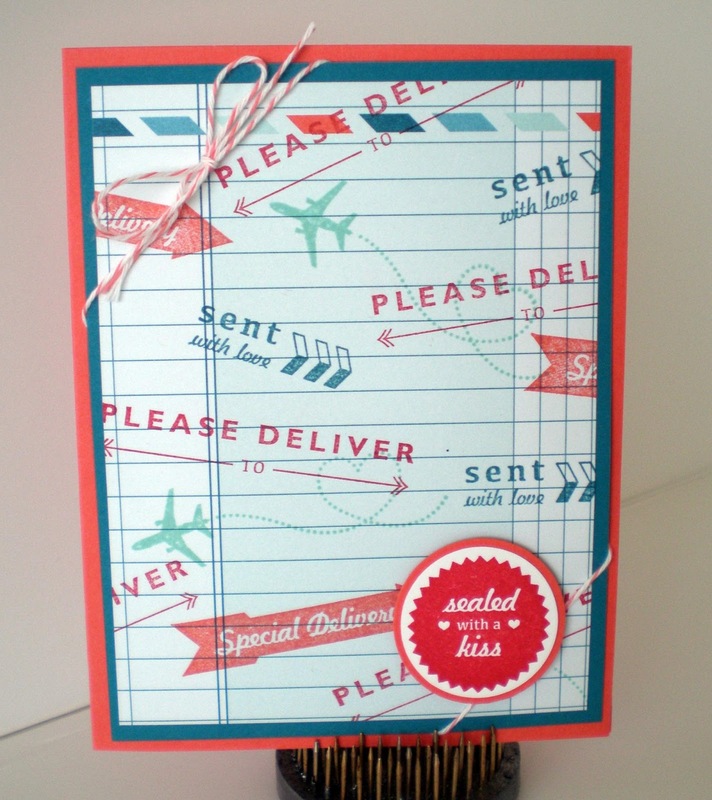 Feb. 1-Apr.1 2013 you can purchase the Sent With Love stamp set or Sent With Love Designer Series Paper or both in a bundle which saves you 20 percent! I ordered the bundle and it arrived the other day and I finally had time to make some cards today. I will be sharing what I made over the next week so be sure to check back! The stamp set and paper are perfect for using to document family vacations, fun cards and just about anything you can think of! 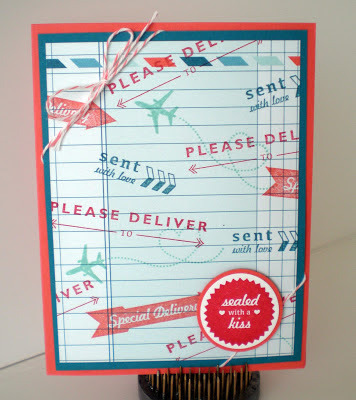 I used almost all the stamps in the set for this sample, stamping them on a piece of the designer paper. If you purchase the bundle you also receive a pack of Bakers Twine in Calypso Coral which coordinates with the paper. This would be fun to give to someone going on a trip. The ribbon and button used on this card was a free Sale a Braion product choice. 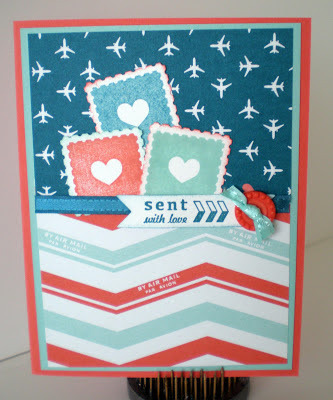 They coordinate perfectly with the colors in the Sent With Love Paper. 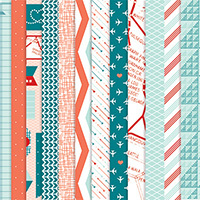 Sent With Love PDF click to see the details!